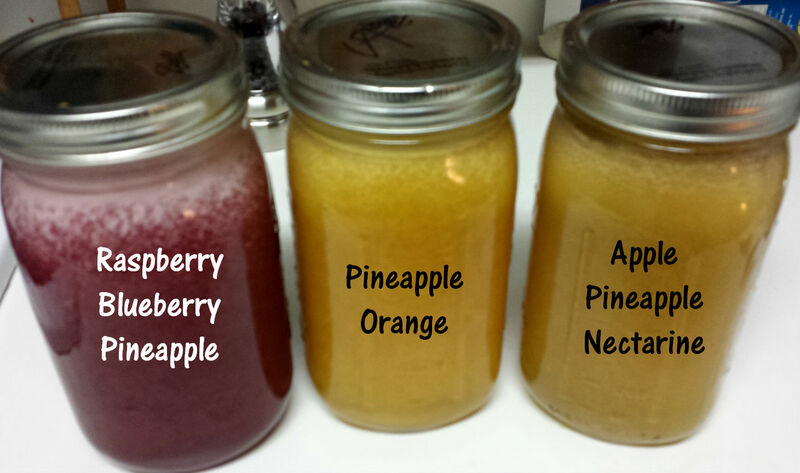 This entry was posted in Food and tagged apple, blueberry, fresh, healthy, juicing, mason jar, nectarine, orange, pineapple, raspberry. Bookmark the permalink. ← Beer bread. Wait, what?